Uncategorized | What's in a Smile? It’s Elephant Pharmacy’s birthday!!! They’re having a fabulous sale this weekend at all their stores: Berkeley, Los Altos (Mountain View), San Rafael and Walnut Creek. Click on the image below for an easy-to-print coupon. It’s for 20% off almost everything, August 16 & 17. After a week + with the retainers, I find the CLEANING the biggest chore in wearing these. Frankly, they get pretty gross, and you really see how quickly plaque can build up and become calculus or tartar. Q-tip: this seems to be the best for cleaning in the nooks and crannies. Not using a toothbrush, except in the back molars, because it can scratch the plastic. 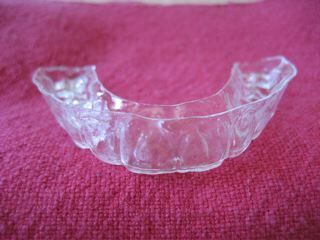 Apparently you can’t really see it once the retainer is on, but I’d rather minimize the wear. Also, the cotton swab gets in better. Liquid soap and diluted mouth wash: Use these in addition to water and fingers and Q-tip to clean. Use brush and toothpaste to clean. Even though I’ve only had for a few days, I notice that I should have cleaned better. It will build up. The ortho office gave me some tablets to use every 3 weeks or so to soak the retainers. I suppose they break down the plaque/tartar. I’ll research and share results/experiences. I’m particularly interested in the sonic machines, even though I don’t want more gadgets. But as I’ve written before, I love my Sonicare toothbrush, so more open to gadgets than I’ve been in the past.